When I think of code breaking in World War II, I think of Alan Turning, British spies, and the Enigma machine. The history I was familiar with growing up didn’t mention much about American code breaking, let alone no mention of women’s involvement in code breaking during World War II. Liza Mundy explores women who joined both the Army (WAC) and Navy (WAVES) to aid the war effort in code breaking. 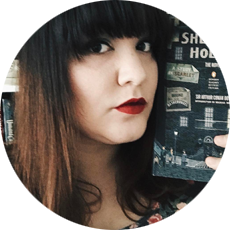 She focuses mostly on two women named Dot and Crow, but also includes other notable women who contributed. Mundy draws on her own research and interviews she conducted with these women, and I felt like I could read countless pages about the lives of these women and the risks they took. It is both inspiring and frustrating to realize how much work these women did to aid the war effort and how little credit they have received in our history books. 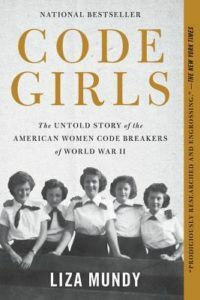 Now knowing that the work these women did to break codes entirely shifted the American’s trajectory during World War II, I want everyone who is interested in women’s history and war history to read this. It further goes to show that the paths taken in wartime are never black and white, never just a boy’s club, and never as straight as some would like to assume. War is complicated, and these women sometimes had to break codes containing information that lead to the direct harm of people they knew without being able to put a stop to the attacks. Mundy showcases the strength and resilience of these women in then-unheard of situations. This comes highly recommended from me, so if you are interested in women’s history and World War II history, add this to your TBRs immediately. Thank you to Hachette for sending me a complimentary copy for review. All opinions are my own.